Every bit of us wants the DiamondClean Smart to be the winner. It is the better brush. The innovation and value added elements are great, but better does not always mean that it is the best or the one to go for. 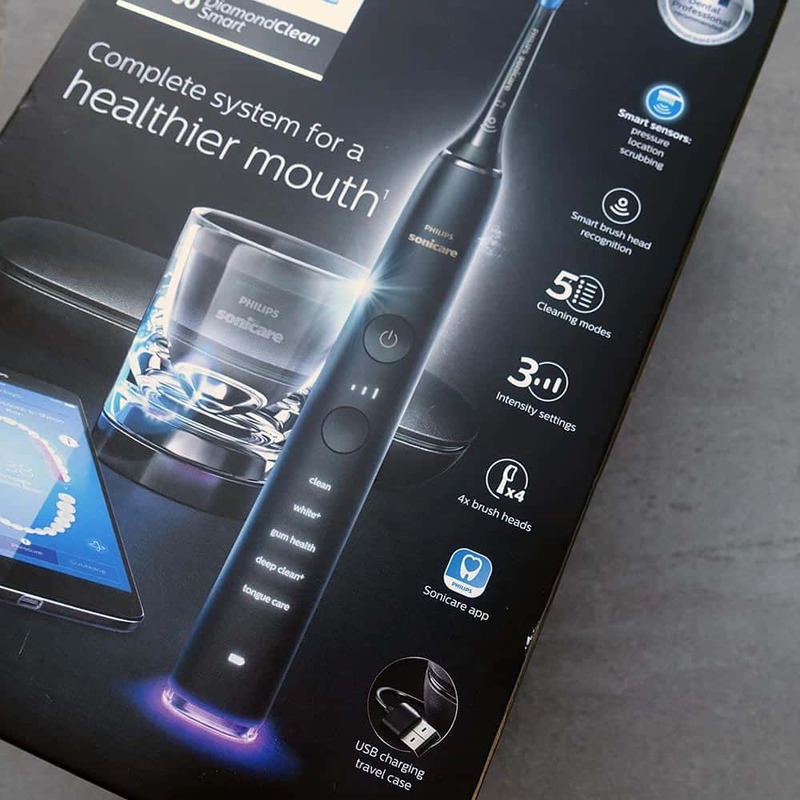 You see, the DiamondClean Smart is commanding too much of a premium price to really make it be the justifiable recommendation, even if the intention is for the user to have better oral health. If it was up to £40 more expensive than the regular DiamondClean then it would probably ‘just’ win out. However, it is a LOT more expensive and is not perfect as it really needs to be for the price. 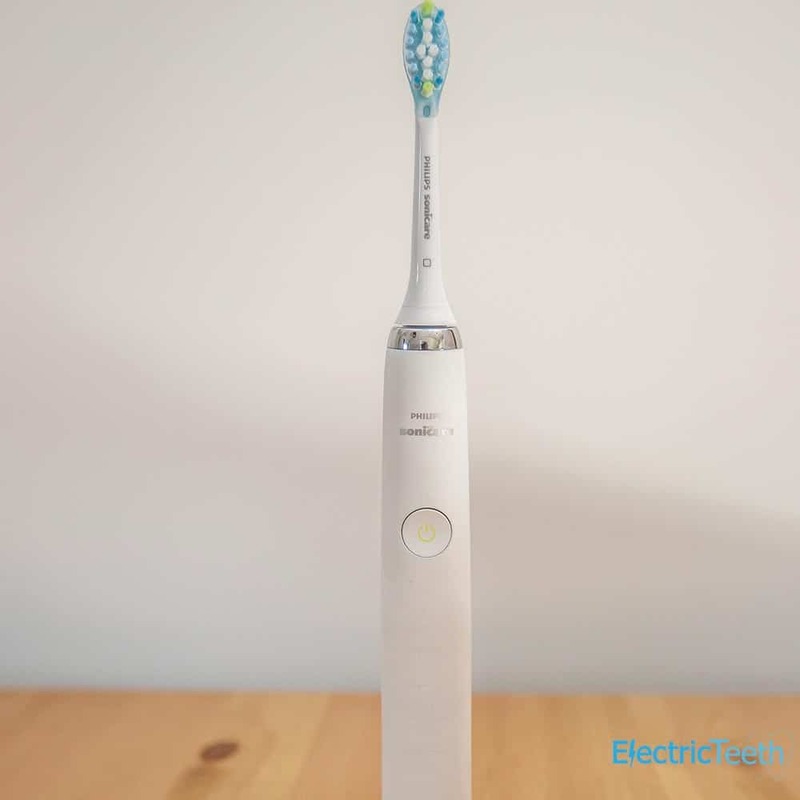 If you really want Smart features by all means consider it, but then go look at Oral-B range, because unless you can genuinely justify paying virtually double the price of any other electric toothbrush on the market today, the DiamondClean Smart is not a viable option. The DiamondClean is a premium feeling, performing and looking brush with a commendable box contents. It is by no means cheap but you can see can see what the extra spend over the competition gets you. 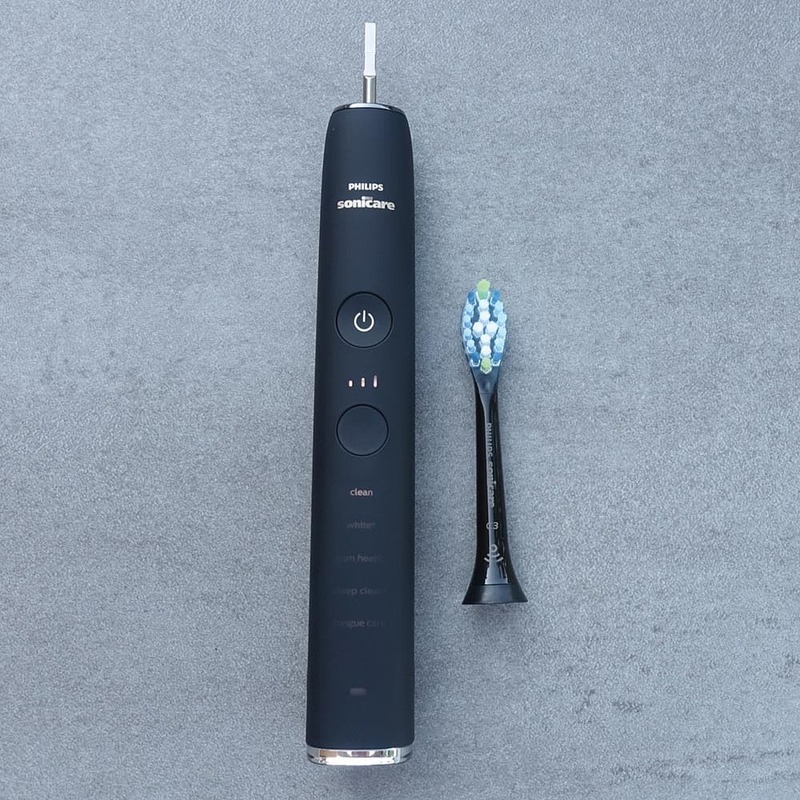 The DiamondClean Smart comes with 4 brush heads (1 x Premium Plaque Control, 1 x Premium Gum Care, 1 x Premium White and 1 x TongueCare+ tongue brush) compared to the 1 x AdaptiveClean with the DiamondClean. The DiamondClean Smarts travel case has been slightly redesigned and finished in leather compared to the DiamondClean that was not leather finished as well as a fixed USB cable. The DiamondClean Smart comes with a Glass charging stand compared to the plastic charging stand with the DiamondClean. 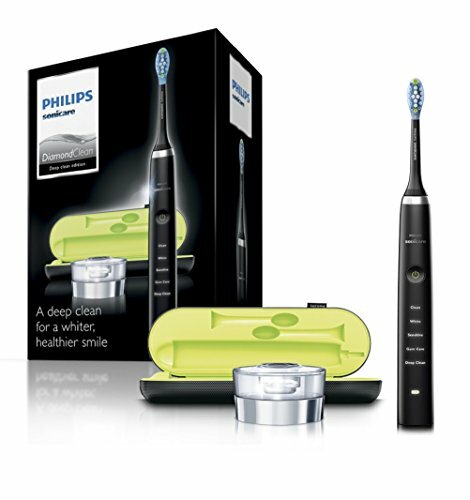 The DiamondClean Smart has an LED ring that illuminates when too much pressure is used when brushing. The DiamondClean Smart is not available in as many colour options. Detailed Comparison: What’s the difference between the Sonicare DiamondClean and the Sonicare DiamondClean Smart? The DiamondClean range from Sonicare are amongst the most premium brushes available on the market today. Given both these models are from the same brand and sit within the same range there are quite a few differences between the two; some are more significant than others. As you can see two are the same bar their colour with the third coming with an extra item in the box and a subsequently higher retail price. The DiamondClean (non Smart) is available in four model options, all with the same box contents, but different coloured handles. You will notice then that the DiamondClean has more colour choices available to users, with the Pink and Rose Gold options which would typically be more appealing to women. The DiamondClean Smart’s colours are a little more masculine but there styling touches of Gold work well and offer a more universal appeal. In the box, the items included with the brush handle are a bit different between the two models. If you purchase the DiamondClean Smart HX9954/53 it comes with a brush head storage compartment capable of holding up to three brush heads, something that is not available with the other DiamondClean Smart or DiamondClean models. It is a smart, if not slightly bulky addition that you have to pay for. Both models should really come with some form of brush head storage option, particularly the DiamondClean Smart, given the price charged for this model. The DiamondClean Smart comes with a charging glass compared to the more plastic charging stand with the DiamondClean. 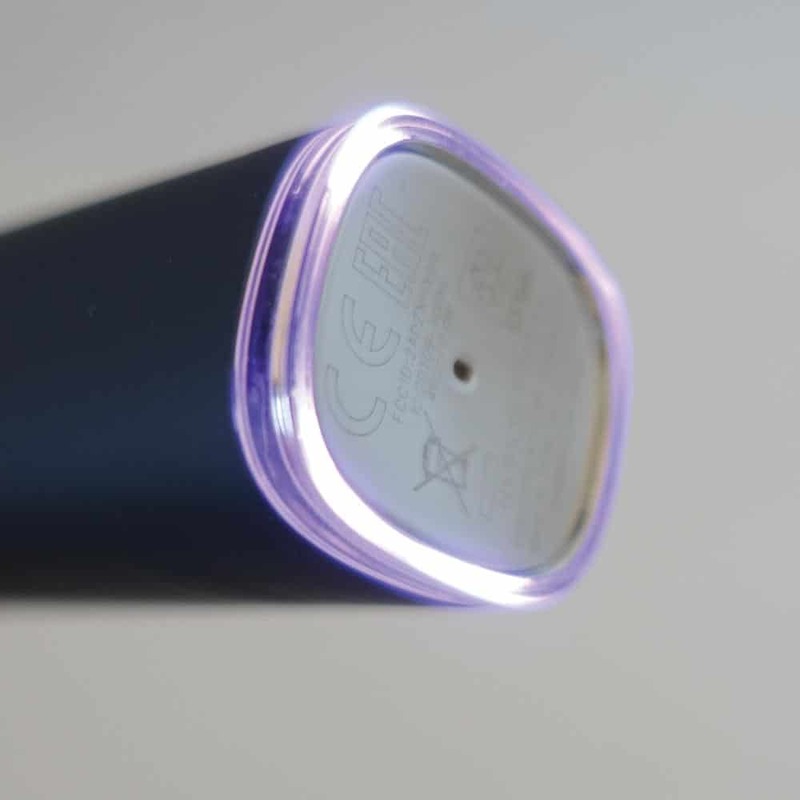 Oddly, the charging glass was available with the 2nd generation DiamondClean, but the newer 3rd generation has seen a revised design in favour of a smaller, lighter and cheaper plastic option. The charging glass looks stylish and is certainly different. It does take up more space, so whilst on one hand it wins from a styling perspective, the clear plastic stand with the DiamondClean is actually more than acceptable. It should be noted that this stand with the DiamondClean is a different design to your typical charging stand and is a differentiator of the DiamondClean when compared to many other models. Both models come with a travel case. For some time, the case provided with the DiamondClean has been the ‘best’ available, and this has been improved with the Smart. The Smart comes with a hard case finished in soft touch leather in Black colour. With the DiamondClean 3rd Generation the material is a bit harsher to touch but actually is quite grippy and looked a little unique. The colour also matched the brush handle. Both connect to a USB port for in the case charging. The 3rd generation DiamondClean has a detachable microUSB to USB cable The negative here is the cable can be mislaid. With the Smart, the cable is now firmly attached to the case on the underside. A removable panel allows access to the 60cm length of cable which has the USB connection at the other end. It is a smart upgrade and the cable neatly tucks away inside the case. In favour of the 3rd Generation is the in the box inclusion of a mains adapter that allowed this USB cable to be connected to a 2 pin mains socket. No such adapter is included with the Smart. A bottle of antibacterial spray comes included with the DiamondClean Smart and this is because of the last box contents difference, the brush heads. The DiamondClean comes with 1 brush head included in the box whereas the Smart comes with four, one of which is a tongue cleaning head that works with the spray to well, clean the tongue! You can manually override these and change the mode, but this is a new feature that the DiamondClean 3rd generation does not have. However, as clever as this is and yes it does bring that added bit of convenience, the prices of the brush heads at this time are very expensive, almost double that of those the DiamondClean uses. There are 3 levels, low medium and high and the higher the intensity, the more powerful the brush motor and number of brush movements. Lower intensity is good when you have sensitivity in the teeth or gums or are not used to the power of an electric toothbrush. This is controlled via an extra button on the DiamondClean Smart. When switch on, the button controls the intensity, but when switched off this button changes the cleaning mode. On the DiamondClean 3rd Generation, just one button powered the brush on and changed the cleaning mode. The cleaning modes have also been renamed and changed slightly. From what we can tell, aside from the obvious difference that there is now a specialised tongue cleaning mode instead of the Sensitive mode, the others have been renamed. There might be a slight difference in the power delivery from the brush motor, but we are not aware of this being the case. If there is, unless compared side by side any differences would be hard to tell. A feature that has generally lacked on Sonicare models is a pressure sensor. A pressure sensor will alert the user when too much force is being used to clean the teeth. The Smart now has this. It works by shining a Purple light from the base of the brush handle. It is a handy addition but is not implemented as well as it could be in our opinion and Oral-B have on the whole done a better job. The last and of course biggest difference between these two models is the bit that is referred to in the model name ‘Smart’. If you want to know more about this, refer to our DiamondClean Smart review. Not that we can tell. Sonicare have not boasted any stats to suggest that the Smart cleans better than the regular version, typically all claims are made in comparison to brushing with a manual brush. During our time with each model we were not able to say one cleaned better than the other and realistically even under laboratory conditions we suspect there would be no discernable differences. 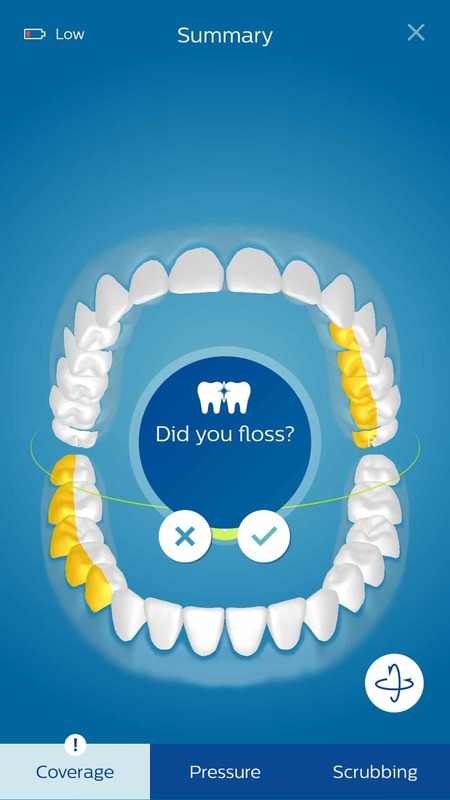 It could be argued that you may have better results when using the DiamondClean Smart because the associated app will encourage and indicate to you how you can clean better. Real world results are much harder to show or determine, but there is fair reason to believe that on screen prompts with visual indicators will ensure a more consistent overall cleaning habit. Although subject to change, the Smart version is currently £130-£250 more expensive. Much will depend on the time of purchase and what prices are available at that time. This comparison is written just after launch of the DiamondClean Smart in August 2017, where the RRP is £360-£380 compared to the DiamondClean’s £299. A launch offer allows the Smart to be purchased for £100 less (£260). The standard DiamondClean is around £135 to buy. 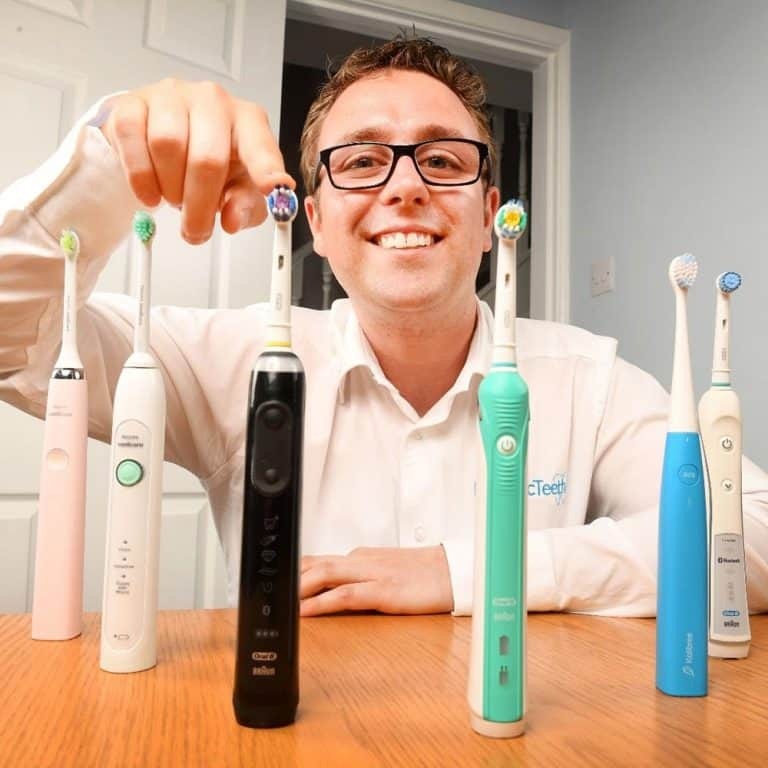 Never before have we paid over £200 to purchase an electric toothbrush! At the time of writing, our recommendation has to be to purchase the DiamondClean (view on Amazon), not the Smart variant (view on Amazon). If at the time you are considering these brushes the price is within £40 of each other, then the Smart might well be worth the extra spend, but do consider wisely. 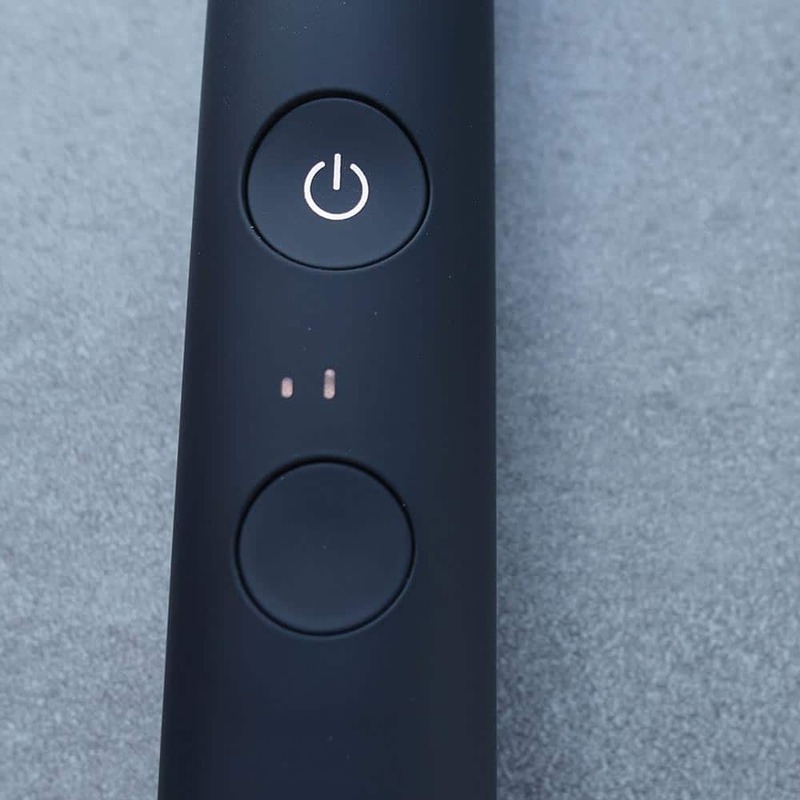 The Smart is clever, it offers neat features that just add to the overall experience. There is a price that has to be paid for innovation and the ‘best’ in terms of features and box contents. But sadly, the premium price is just too much unless you genuinely have money burning a hole in your pocket and you feel comfortable spending out on the DiamondClean Smart, when you can have something fairly comparable for half the price. 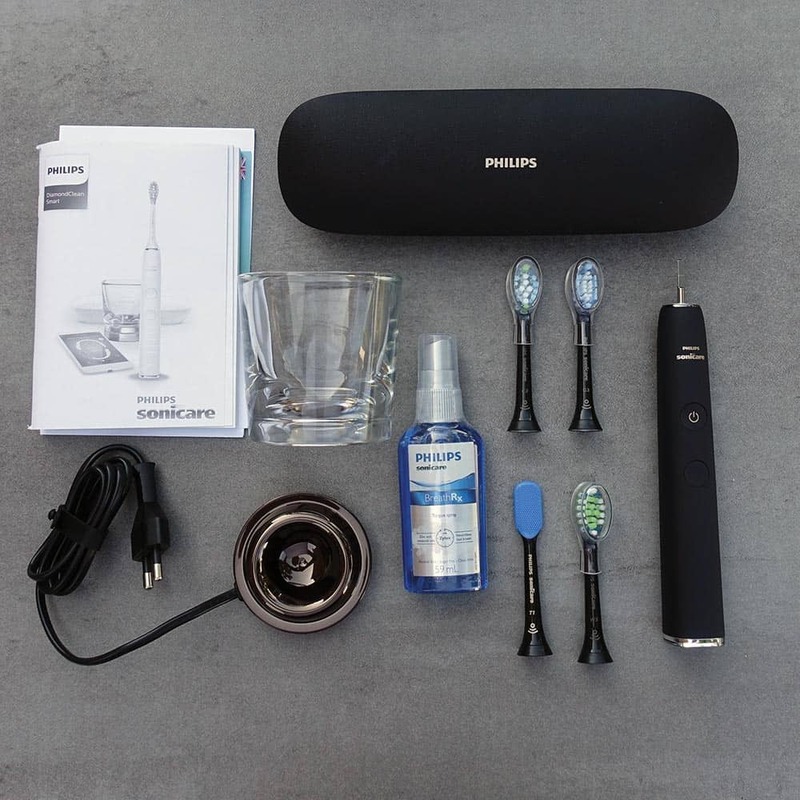 Philips deserve credit for doing what they have, but until these features come at a lesser cost, the DiamondClean (3rd generation) is our brush of choice between these two.